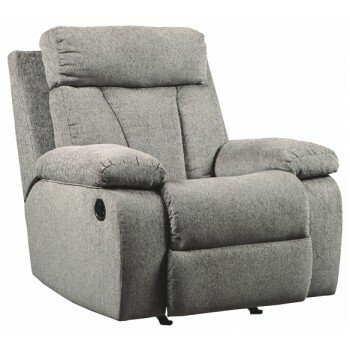 The Mitchiner rocker recliner is the ideal seat for one. This recliner is plush in all the right places, and will support you for longer than you can binge watch your favorite TV show. The neutral upholstery begs for a patterned throw pillow and some of your time. A recliner that’s this easy breezy belongs in your home.